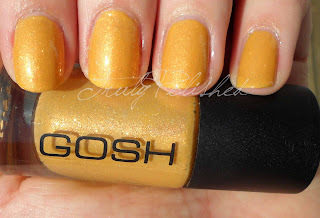 Today I have a GOSH polish to show you. I picked this up a couple of weeks ago at Superdrug when I was looking in the discontinued bin in the hopes of finding Holographic!!! 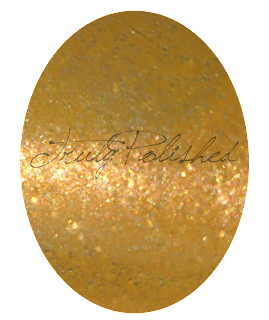 This polish is mustard yellow and has a shimmer to it with small pieces of iridescent glitter and is (very strangely) named Sweet Peach. There is nothing peachy about this polish at all! Sweet Peach was very much on the thick side but it was still pretty easy to work with. 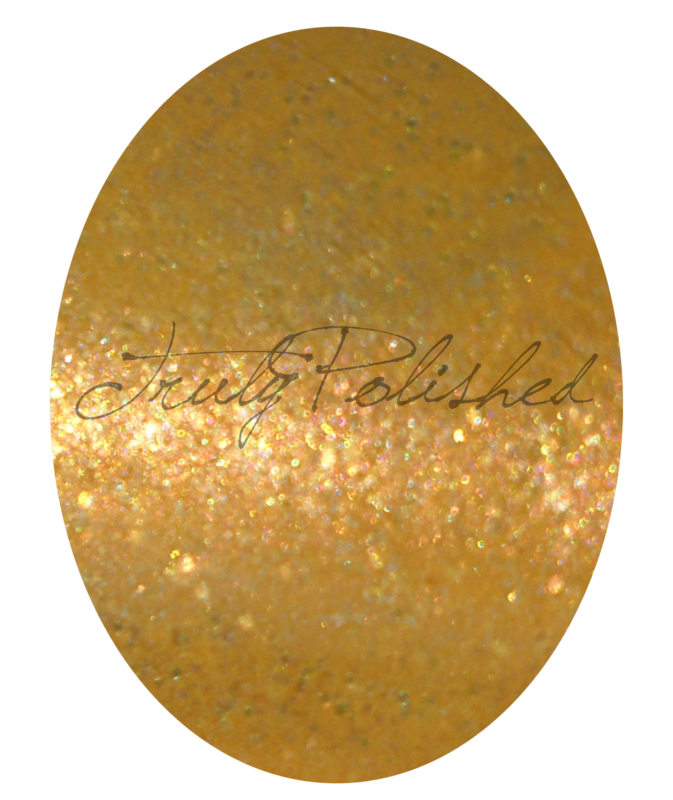 The photos show two coats of Sweet Peach with one coat of Seche Vite. One thing worth mentioning is that this was very topcoat hungry. Even with SV it still had a gritty finish! Seeing as this was in the discontinued bin, I'm taking it that Sweet Peach has been discontinued! 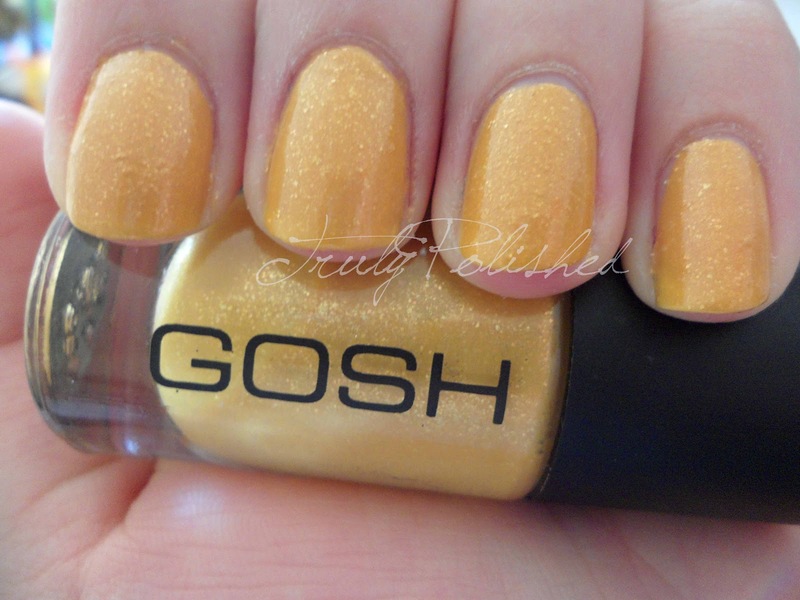 You could still check your local Superdrug though, I got this for £2.49!